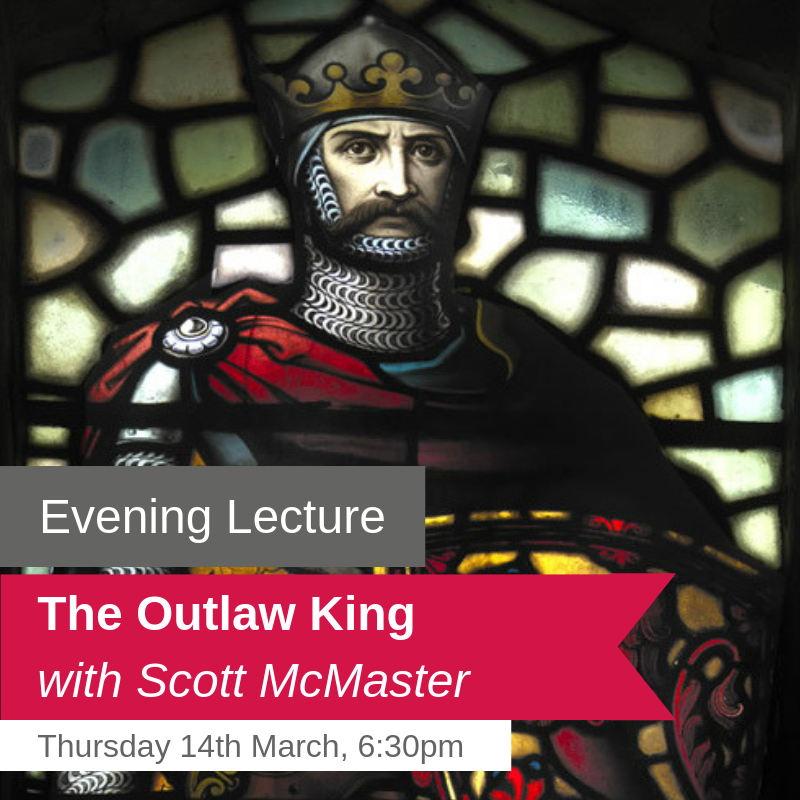 Join Scott McMaster to discover how accurately Hollywood depicted Robert the Bruce in the 2018 film staring Chris Pine. Scott McMaster – chief historical advisor to the production team working on Outlaw King, and National Trust for Scotland expert on the Battle of Bannockburn – will be sharing some of the secrets of re-creating Scottish history on the big screen, as well as discussing how closely the recent film sticks to historical fact. Scott will also be joined by historian and TV presenter Fiona Watson who will be signing copies of her new book ‘Outlaw, Traitor, King’. Tickets for the evening lecture cost £5 (£2 for The National Wallace Monument members). Email info@nationalwallacemonument.com to reserve a seat as a limited number of tickets are available. The lecture will be held in Legends Coffee House at The National Wallace Monument. This area is fully accessible. There will be no access to the inside of the Monument during the event.